PokerStars is trying again to crack the New Jersey online-poker and casino market, this time with a new partner in Resorts Casino Atlantic City. The Mohegan-operated casino, which is actually New Jersey’s oldest, has agreed to a deal with Stars parent Rational Group in which Stars will supply an online gaming platform for Resorts Casino AC, pending regulatory approval by Jersey gaming officials. It’s a sideways step for Stars, which continues to appeal its rebuffed purchase attempt of a different Atlantic City casino, the Atlantic Club. Just a few days ago, a preliminary appeal by Stars and Rational was denied, leaving the cancellation of the purchase by original owner Resorts Casino International / Club Colony in place. Before one gets too confused over all these different “Resorts Casino” brands, the Atlantic City casino by that name — the one that Stars has just signed a partnership deal with — is not part of the current Resorts International family. That AC property reverted to bank ownership a couple of years back; despite being a Boardwalk property, the casino itself nearly closed a few years ago and has changed hands a couple of times since then. Resorts Casino Atlantic City, thus not a part of Resorts International (despite the retention of the name), passed into the operational control of Mohegan Gaming Advisors last year. And yes, that’s the same company which also operates the giant Mohegan Sun casino in Connecticut. So, assuming this partnership deal passes New Jersey muster, that puts a Mohegan/PokerStars alignment in play not only in New Jersey, where Resorts Casino AC is one of the 12 casinos that’s already applied for an online license, but elsewhere on the East Coast as other states warm up to the possibility of online gaming. That could include Connecticut, where the Mohegan tribe already has a powerful presence, and it could also include neighboring states Massachusetts and New York, particularly Massachusetts, where online gambling is already under consideration and where the Mohegans are continuing to develop one of the new Massachusetts land-based casinos, at Palmer. Add that all up, and there is at least a glimmer of hope for PokerStars to reestablish at least a regional presence in the United States. While Stars remains persona non grata in Nevada and Kentucky, their fortunes are somewhat brighter in New Jersey and elsewhere in the Northeast. While you wait for PokerStars to get up and running in the US again head to Betonline.com now for your poker! 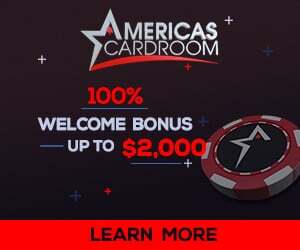 Posted in Online Casino, Online Poker, Poker Culture, Poker News, What's New Blog and tagged Atlantic Club, Connecticut, Massachusetts, Mohegan Sun, New Jersey, online gambling, online poker, pokerstars, Rational Group, Resorts Casino. Bookmark the permalink.